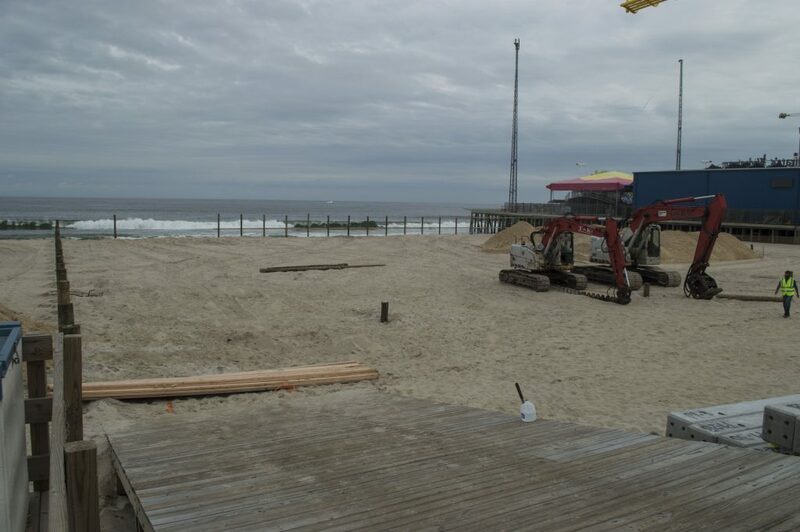 Construction has begun on the expansion of Casino Pier in Seaside Heights, with the outline of the new pier coming into view. By Tuesday, crews had already driven in the piling foundation that marks the full extent of the expansion. 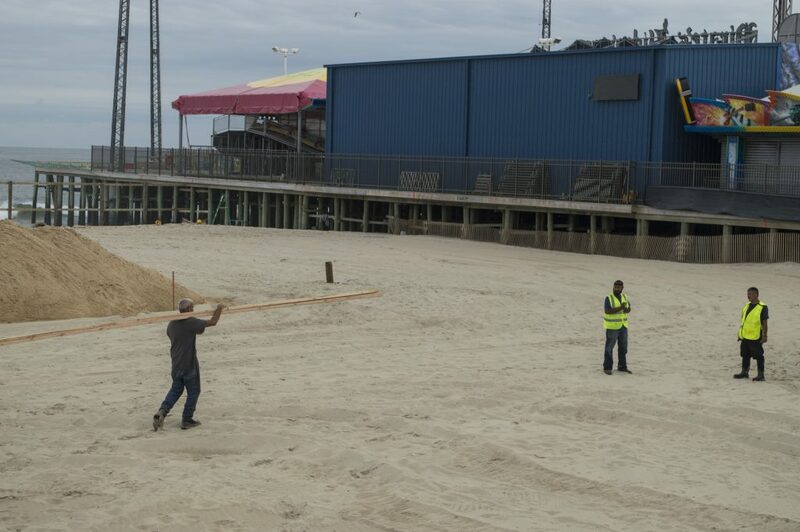 The new portion of the pier will connect to the north side of the current pier and proceed north for the length of about one block, just north of the entrance to EJ’s Tap House, approximately at the midpoint of Sheridan Avenue. The expanded pier will take up the entire width of the beach in the area. 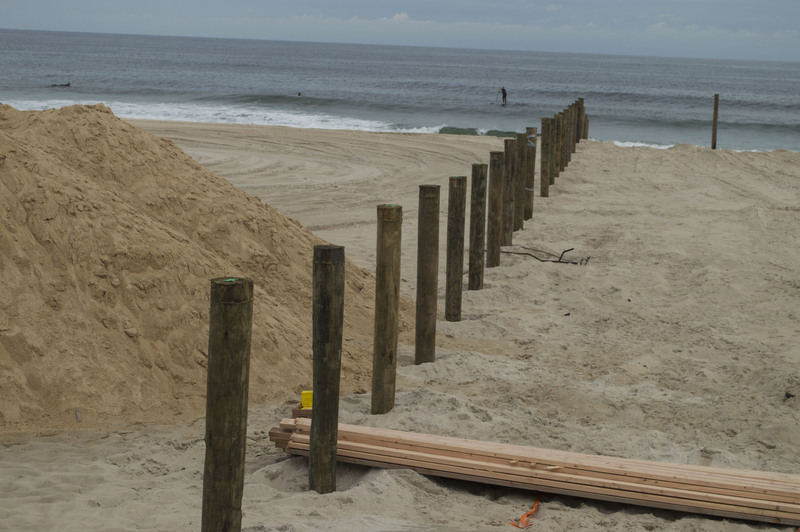 The easternmost pilings are now partially submerged over the ocean, however they will likely be on land once a planned beach replenishment project is completed. In exchange for the land on which it is expanded, Casino Pier gave the borough a boardwalk-front lot in the northern portion of town and a historic Dentzel-Loof carousel. The borough is planning to build a boardwalk museum in which the carousel will be housed. 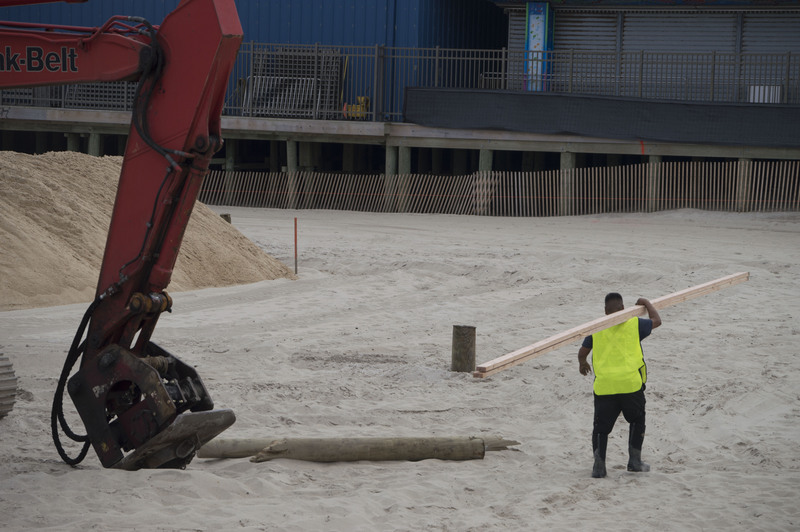 While the construction of the pier expansion has begun, at least one lawsuit is still pending and another lawsuit may be reopened opposing the project. A legal challenge to the borough’s ability to convey the land was filed by two environmental groups and as not yet been adjudicated. A separate lawsuit filed by Stephen Melvin, the owner of Three Brothers From Italy Pizza, was dismissed on technical grounds, but Melvin told Shorebeat he plans to appeal to the Appellate Division of Superior Court. “We’ll take it all the way to the Supreme Court,” he said, while taking photos of the site Tuesday afternoon. 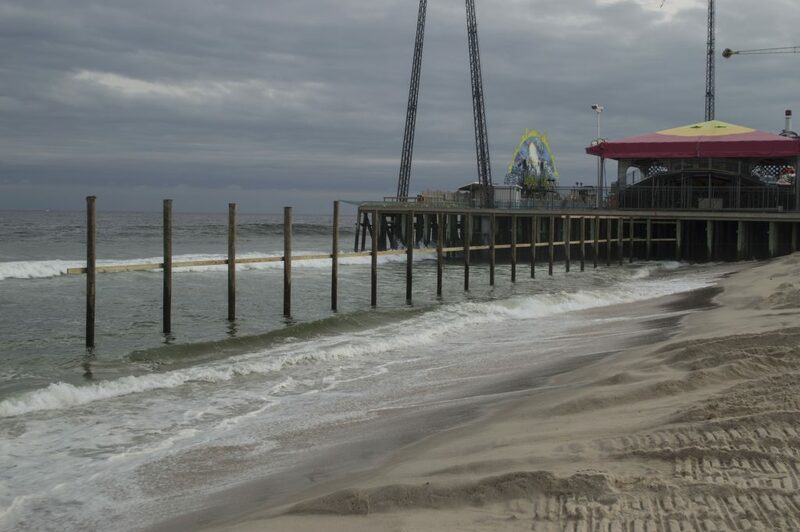 Borough officials have said the expanded pier will immensely benefit the town’s business community and bring more visitors to the boardwalk since there will be more attractions. 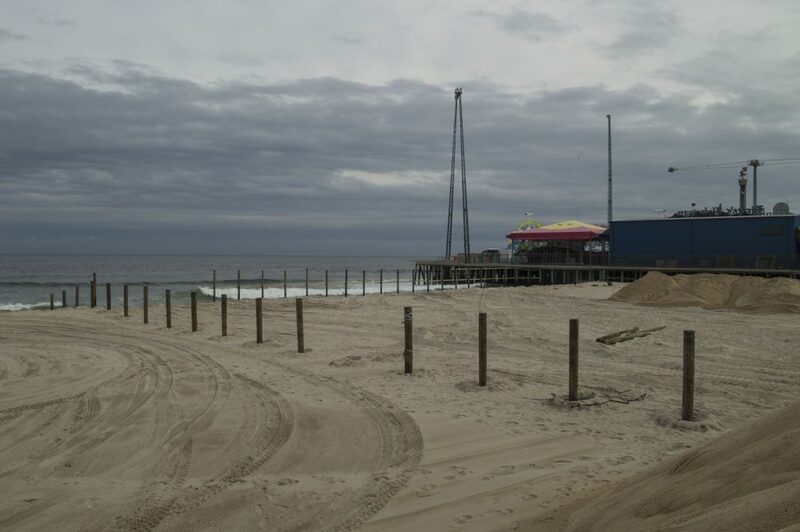 The borough’s business community, with few exceptions, has voiced support for the plan, saying Seaside Heights has been losing visitors to other Shore towns that have more modern thrill rides on their boardwalks. 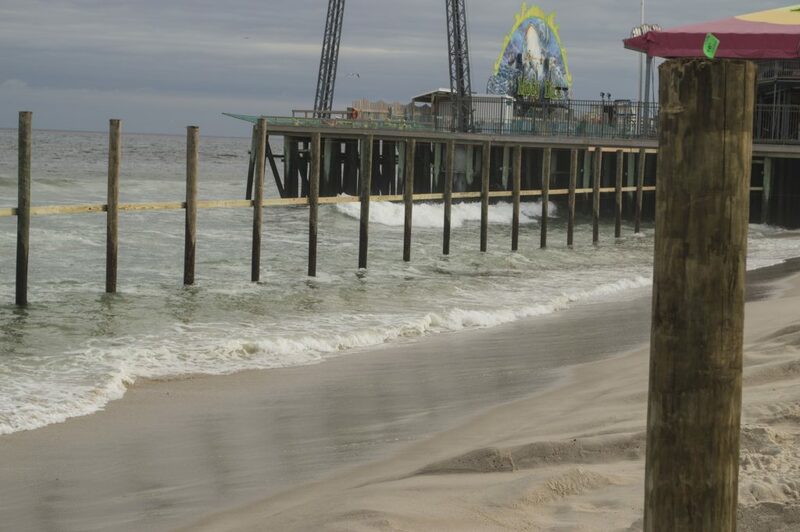 Borough officials have also said the pier expansion will help raise property values, which are still below their pre-Superstorm Sandy levels.